Amazon Prime members, we’ve got some news that will be music to your ears, Dolby Atmos is coming to Amazon Prime Video service starting on August 31. 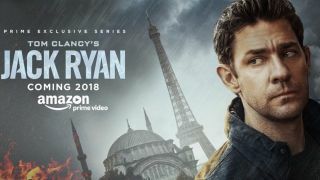 The announcement comes from a Dolby representative who confirmed that Tom Clancy’s Jack Ryan will be the first series on Amazon Prime Video in the audio format when it releases in August and you’ll be able to stream it in the upgraded audio format on Amazon Fire TV and Amazon Fire TV Cube via compatible TVs, sound bars and home theater systems. Being the third service to offer Atmos is a huge accomplishment, and one that moves the needle forward ever-so-slightly for Dolby Atmos as the default audio format. We were looking forward to streaming Amazon's latest series, but Dolby Atmos support is icing on the cake. We've reached out to Dolby to clarify some points - like which other devices will support Dolby Atmos on Amazon Prime Video - and will update this story when we hear back.